The United States Postal Service has an unofficial creed – “Neither rain, nor sleet, nor gloom of night stays these couriers from the swift completion of their appointed rounds." It is actually derived from a quote by an ancient Greek historian named Herodotus, referring to the courier service of the ancient Persian Empire: “It is said that as many days as there are in the whole journey, so many are the men and horses that stand along the road, each horse and man at the interval of a day’s journey; and these are stayed neither by snow nor rain nor heat nor darkness from accomplishing their appointed course with all speed.” We at Spectrum Industries pay considerable attention to our ability to deliver our products on time. Nothing stands in the way of our loyalty to our customers. Not even the record 22” of snow we received on December 11! Employees were at the production facilities on the morning of the 12th – their normal day off – to make sure that it would be business as usual come Monday the 13th. 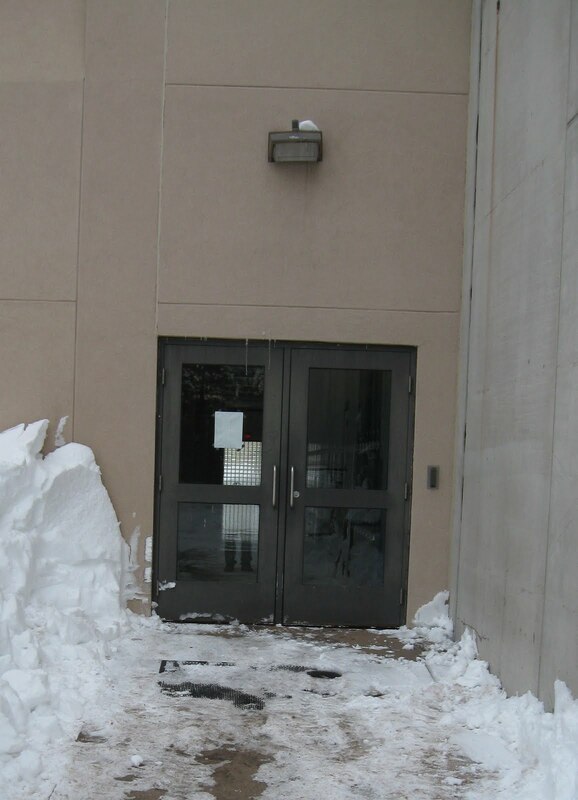 Here’s a nice before/after example of snow drifting over one of our employee entrances: And here is a somewhat sarcastic video from one of our employees Shoveling after a 20" storm A video made in fun, to be sure, but it embodies that never-say-die attitude made famous in Herodotus’ quote, and displays our fierce loyalty to Spectrum customers no matter what the obstacle.